I love beets and these are going on my list of things to try. They remind me of the old show Doug on Nickelodeon when they would eat beets with their burgers because they are “nature’s candy.” Can’t wait to try it. 2) I got a comment on my blog from a jessica to enter this, but she left no information on how to contact her. Do you think Jessica = Jey? Yep, Jey = jessica. I think you should just submit that heart dedicated post you wrote a few days ago. Gotta try this recipe – I know my husband would love it. Those are beautiful. Thanks for your support! Well keep your eyes out on my blog, because I have another beautiful beet creation coming. I’ve added beets to my chili before as well. They are under appreciated! How healthy can you get!? This is AWESOME. I definitely need to add this to my list of things to make! 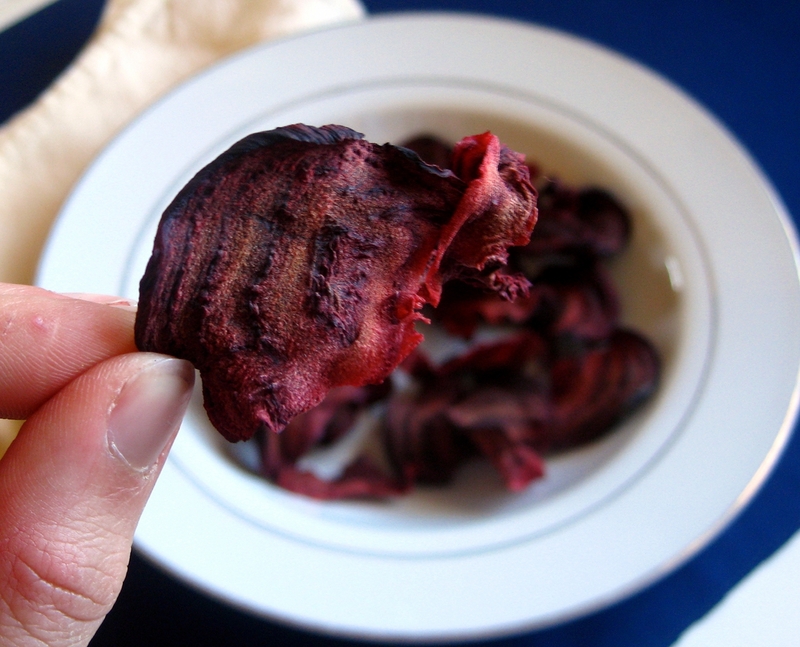 Your beet chips look so good! Nice and thin and crispy. 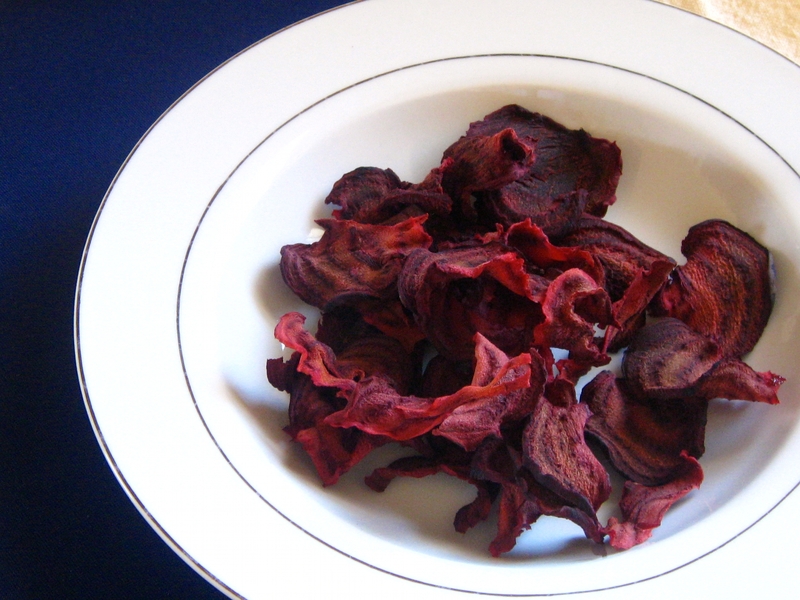 I’m planning another round this week (after the first fail) and I was going to try “dehydrating” them like I did with eggplant recently – warm setting, overnight in the oven. Smart Heart Round Up! | The Jey of Cooking.